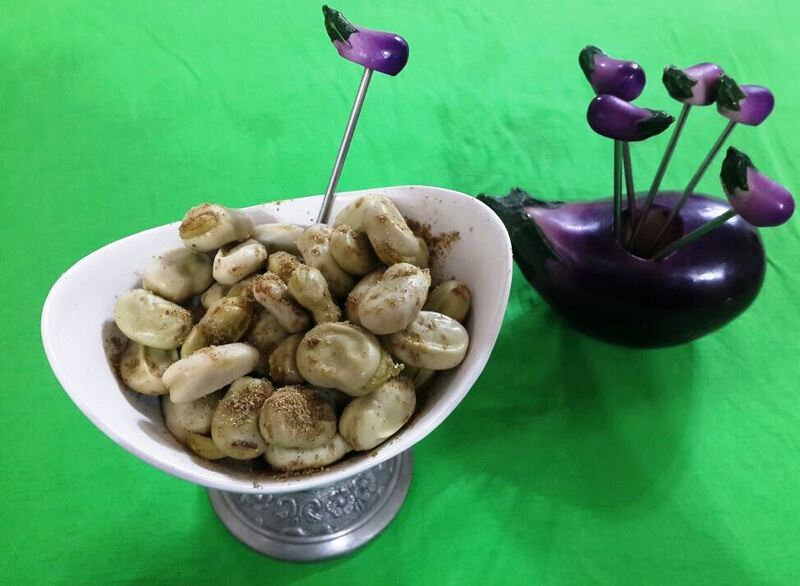 Baghali Pokhte or cooked fava (broad) beans is a very popular snack in Iran and there are many street vendors who sell it. 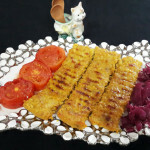 It is an easy to prepare snack high in protein and fiber and also low in fat. 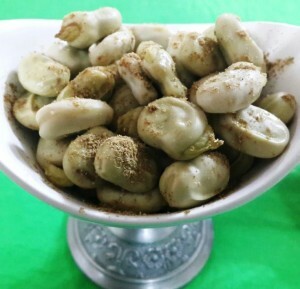 Cooked fava beans are usually served with vinegar, salt and angelica powder. 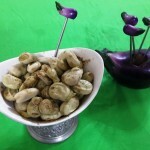 There are two ways of cooking it: You can either remove the pods and cook the beans without removing their shell or waxy outer coating, or you can simply cook the pods and when the pods are soft shell the beans. 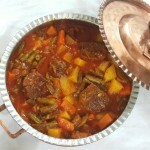 In this recipe you can see both methods. 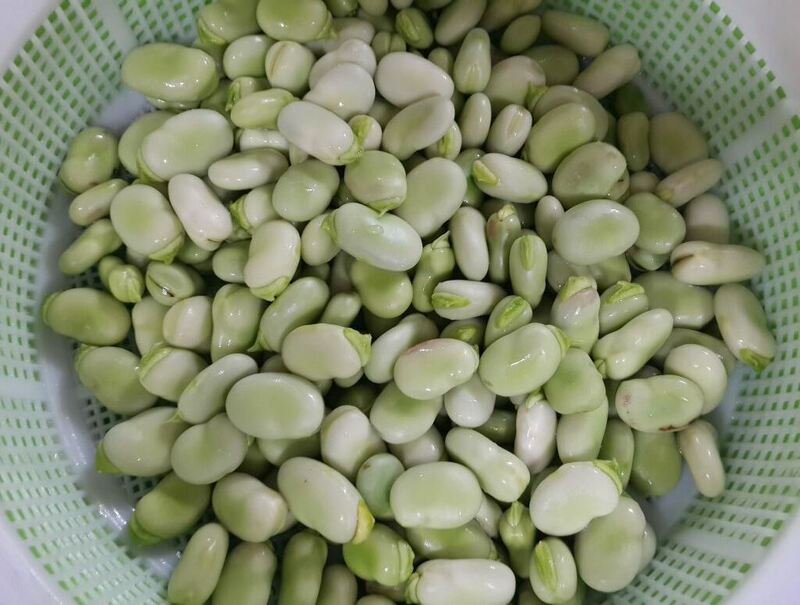 When choosing fava beans select green and smooth pods. 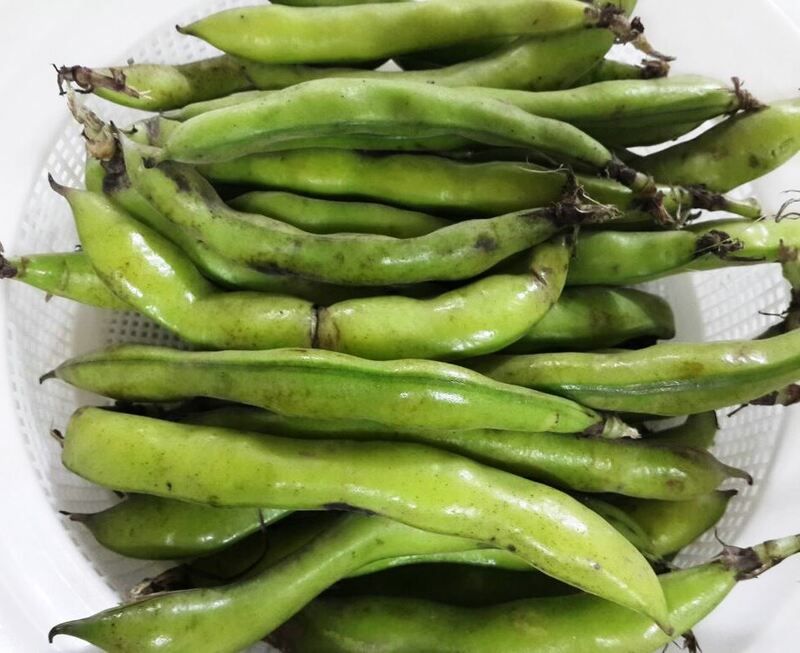 If the beans are over-bulging underneath the pods, that means they are older and probably bitter. Wash and drain the pods. Snap off the ends and string the bean pods. Then open the pod and remove the beans. 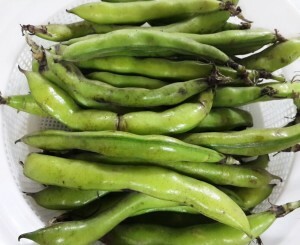 There are usually 4 to 5 beans per pod. 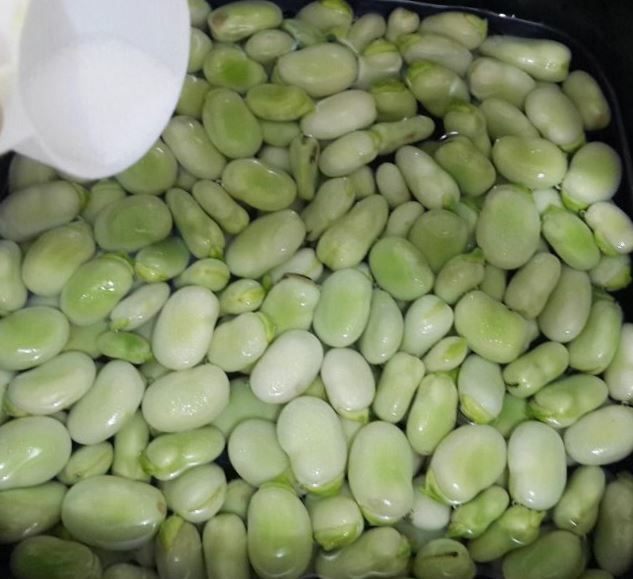 Place the beans in a pot, add enough water to cover the beans. Add vinegar and salt. 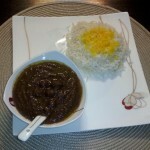 Allow it to cook and simmer over low heat for about 15-20 minutes until beans are tender. Drain them and serve. Drizzle with salt and angelica powder. 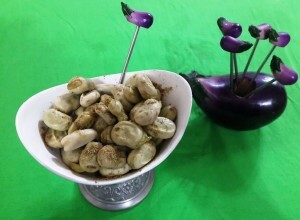 You can easily remove the shell and enjoy the cooked beans inside. 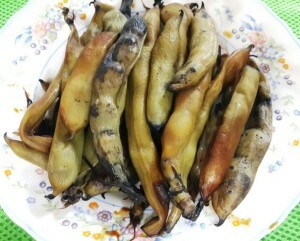 Another method is to cook the whole pods. After washing and draining, place the pods in a large pot with enough water to cover it. Add vinegar and salt and allow it to cook over medium-low heat until soft. Then drain the pods and serve. Since it is cooked, it's easier to shell the beans before eating. 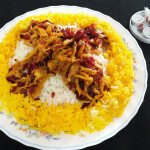 it is really yummy! we cook it on winter nights in get-together times.